Kirby-Smith Machinery, Inc. was established in 1983 and is recognized as one of the premiere new and used heavy construction equipment and crane dealers in the country. Kirby-Smith Machinery, Inc., the fastest growing heavy equipment distributor in the Southwest, recently announced the hiring of Dan Thompson and Homero Gonzalez to its governmental sales team in Texas. Thompson will focus on governmental markets in northeast Texas, while Gonzalez will be responsible for the western part of the state. The hires are part of Kirby-Smith Machinery's five-year strategic growth plan that also calls for doubling the number of service technicians in the 10-branch locations in Oklahoma, North Texas, West Texas, Kansas and Missouri. Thompson and Gonzalez join a team that grew significantly in 2017 to support customer needs. The company added three new governmental sales professionals in Oklahoma and Texas in 2017 as part of its strategic investment in its fast-growing governmental sales business. Thompson joins Kirby-Smith Machinery after a long tenure as the exclusive dealer for Falcon road maintenance equipment in Oklahoma and Texas. During that time, he served as a member of both the Texas Asphalt Pavement Association and Oklahoma Asphalt Pavement Association. He not only brings decades of industry experience to the position, but a thorough understanding of the market in his territory as well as the needs of his customers. For Gonzalez, Kirby-Smith Machinery represents a homecoming to the heavy equipment industry. He worked in various roles for Conley Lott Nichols' Bobcat of Dallas division, including territory sales and special projects, before a lengthy career in the oil and gas industry. Prior to joining Kirby-Smith, Gonzalez was president and CEO of Onpoint Energy Services in Cashion, Okla. His new position at Kirby-Smith Machinery is also a return to West Texas: Gonzalez worked in Midland, Texas while serving as vice president of Operations at Rusty's Oilfield Service. Kirby-Smith Machinery Vice President of Sales Del Keffer said he believes having seasoned business professionals such as Thompson and Gonzalez in place will ensure that Kirby-Smith Machinery has effective coverage in what has become a fast-growing market for the company. "We have made a conscious effort to grow our governmental sales team over the last couple of years with industry professionals who can serve as consultive resources for our customers," Keffer said. "We've added salespeople with the ability to match the right equipment to their customers' operations and help them get the most productivity out of their machine life." Kirby-Smith Machinery, Inc. was established in 1983 and is recognized as one of the premiere new and used heavy construction equipment and crane dealers in the country. Kirby-Smith Machinery and its hundreds of dedicated professional employees are committed to providing reliable new and used equipment for sale and equipment rentals, as well as responsive service and equipment parts for multiple makes and models. 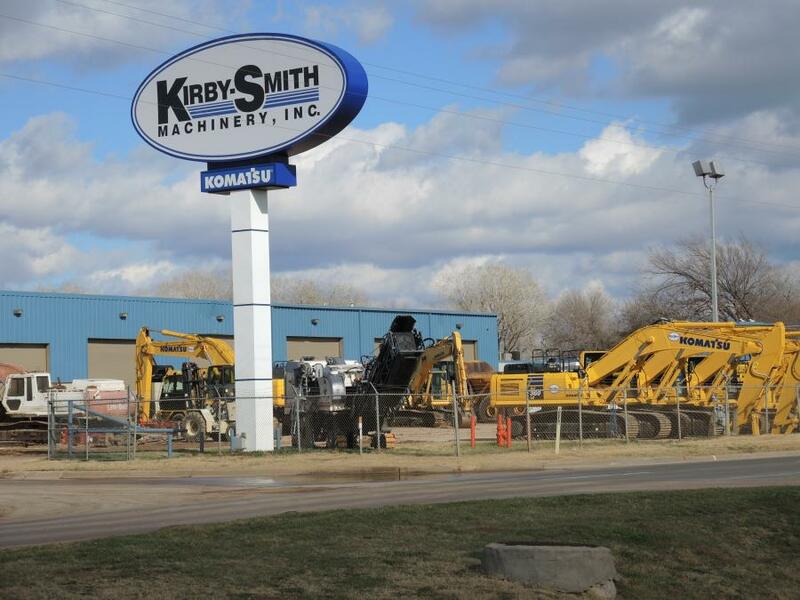 Kirby-Smith Machinery has 10 branch locations in Oklahoma, North Texas, West Texas, Kansas and Missouri. For more information about Kirby-Smith Machinery, call 888-861-0219 or visit www.kirby-smith.com.